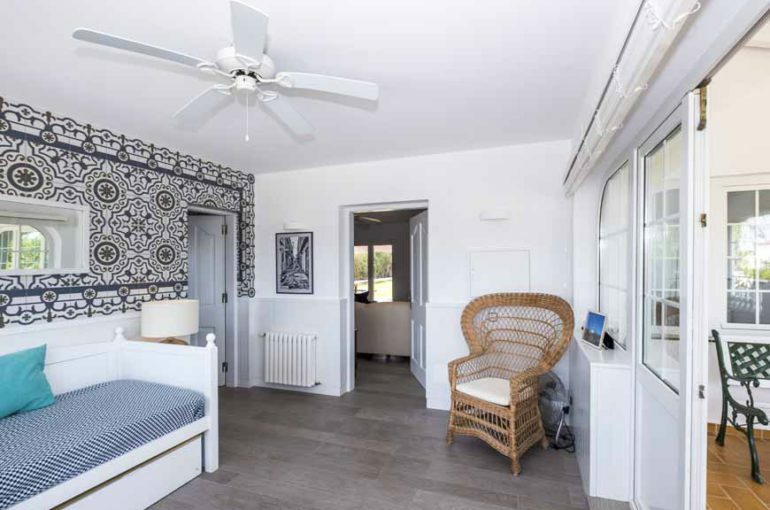 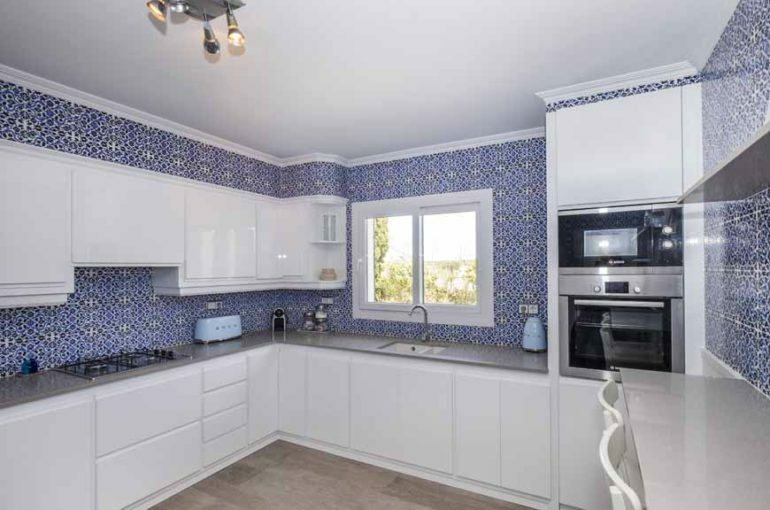 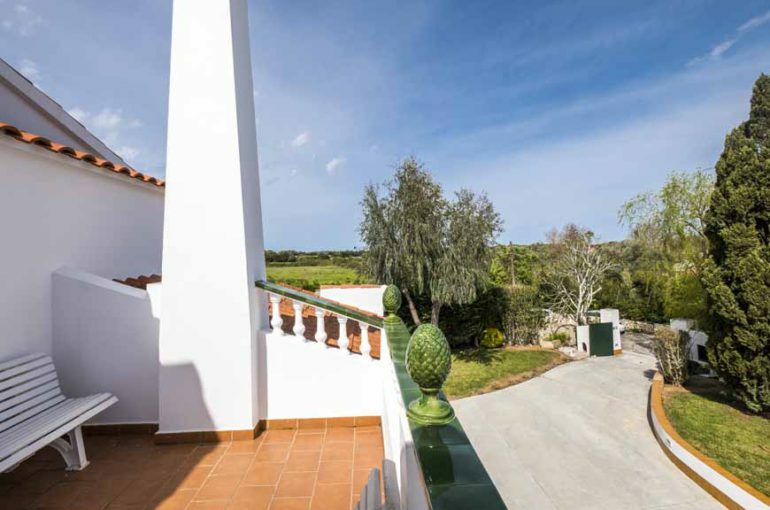 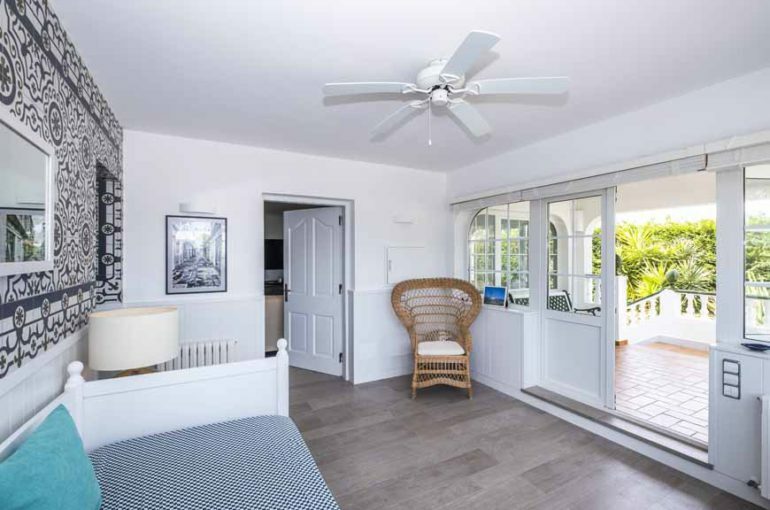 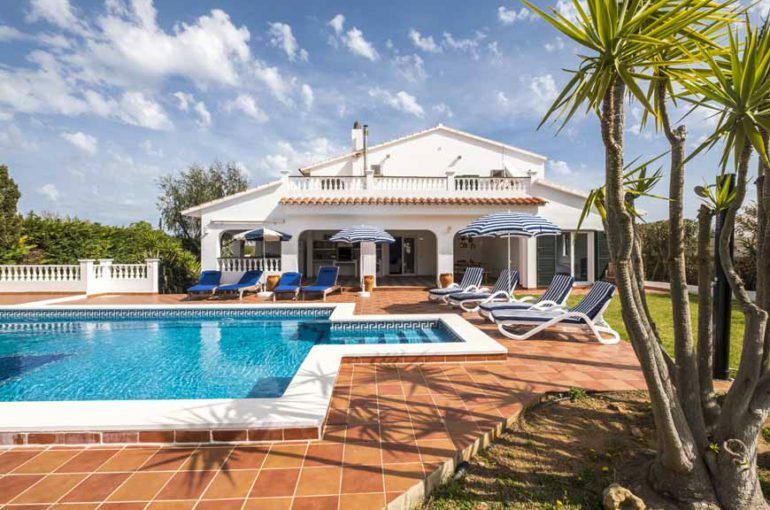 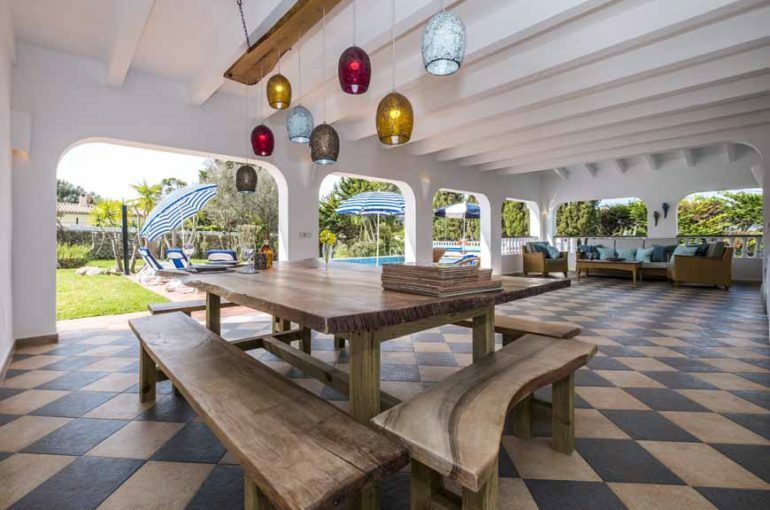 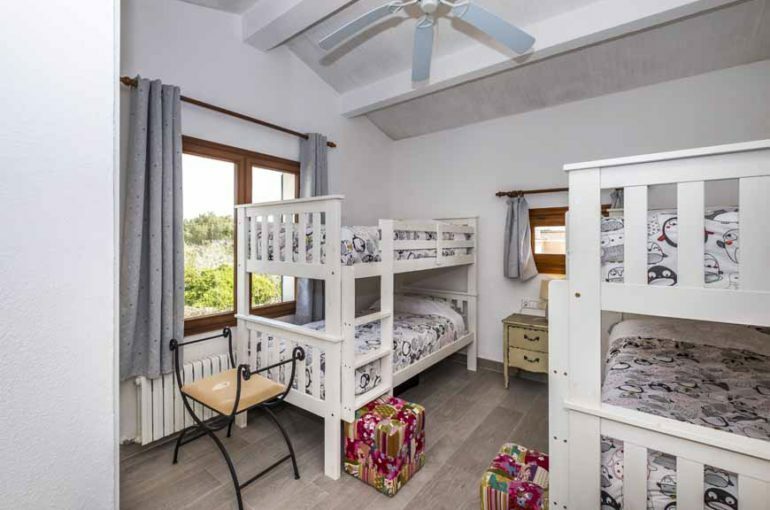 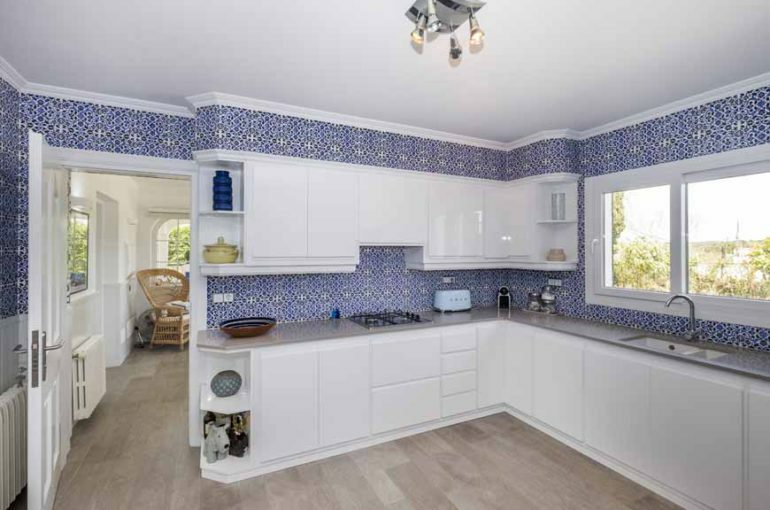 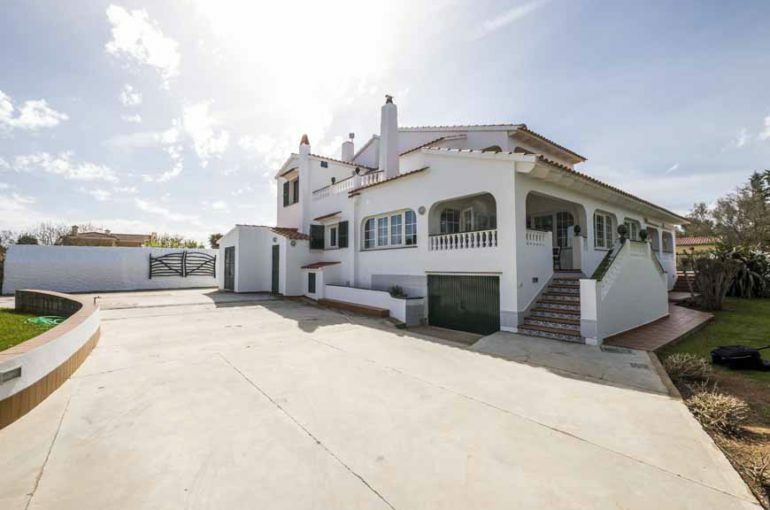 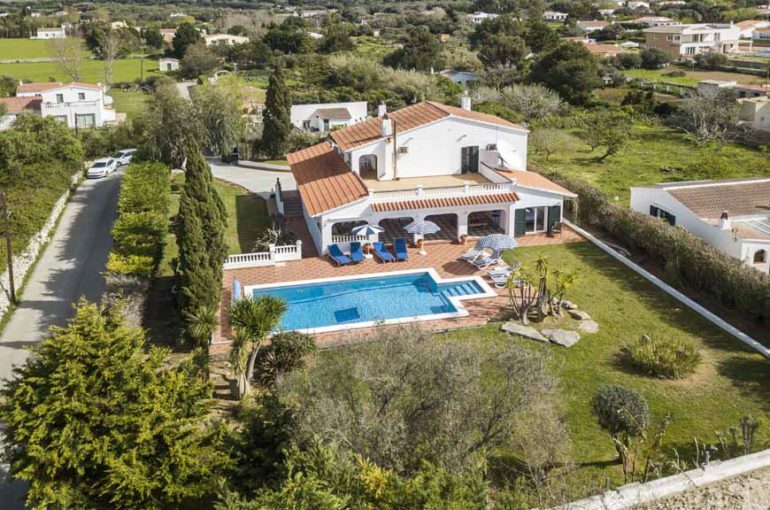 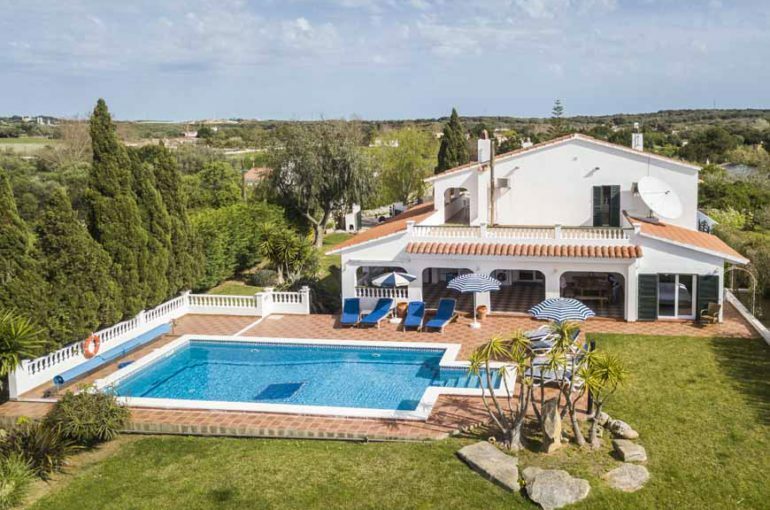 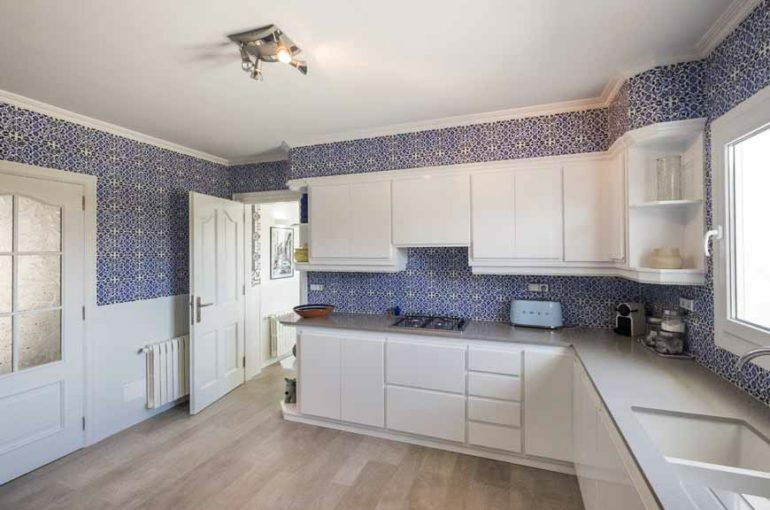 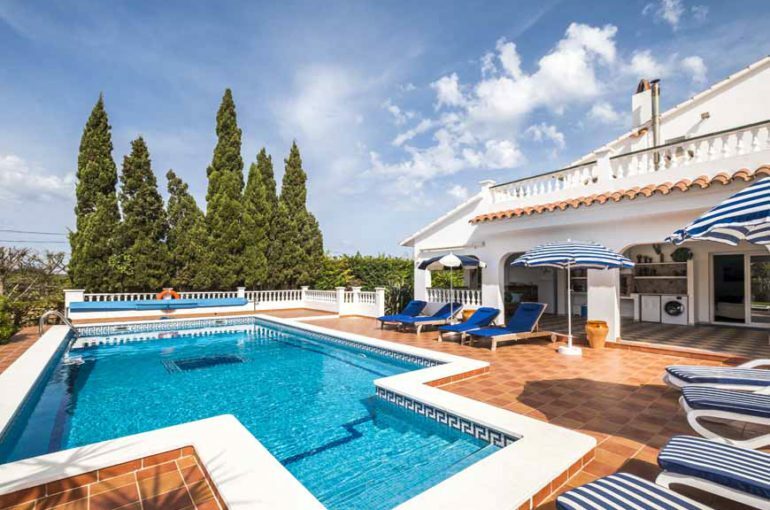 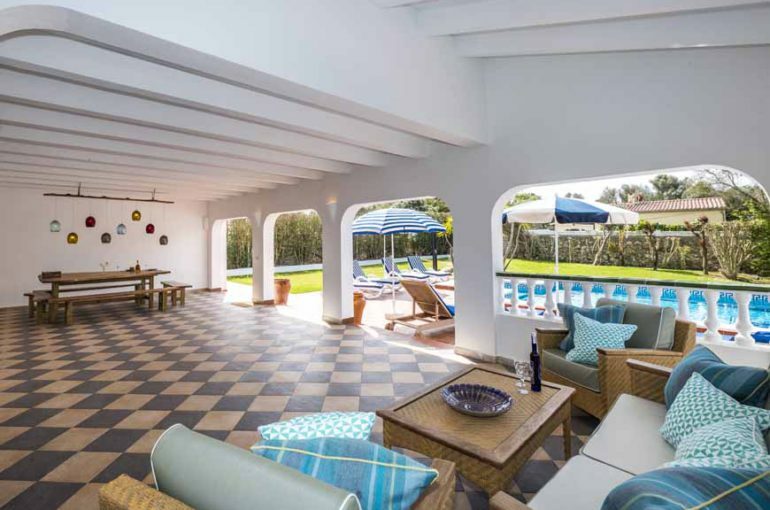 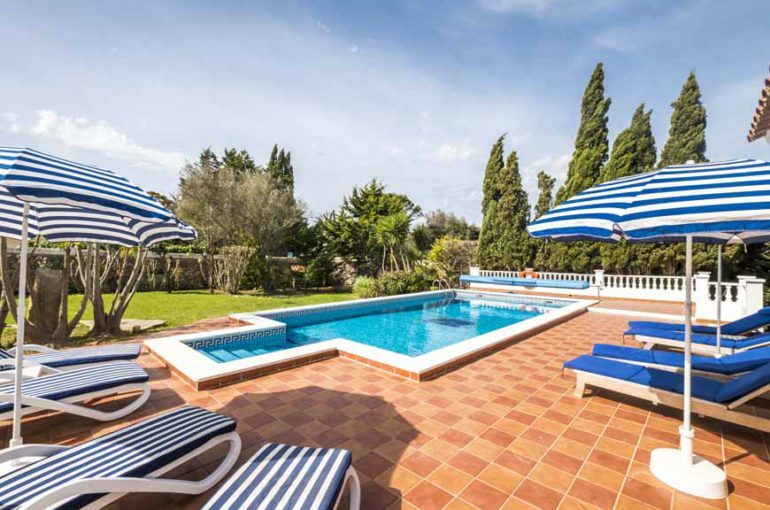 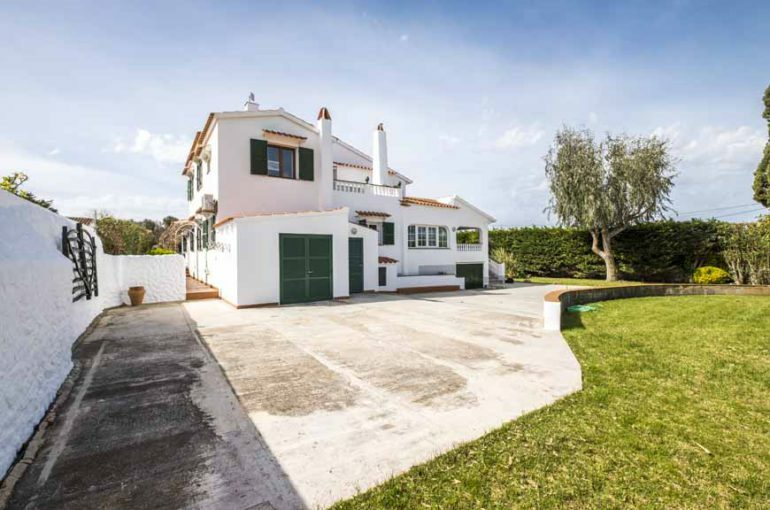 Located in the country estate known as L’Argentina, between the towns of Mahon and Alaior, this impressive, detached property has been stylishly and tastefully refurbished to provide a comfortable, family home ideal for either all year living or as a holiday destination. 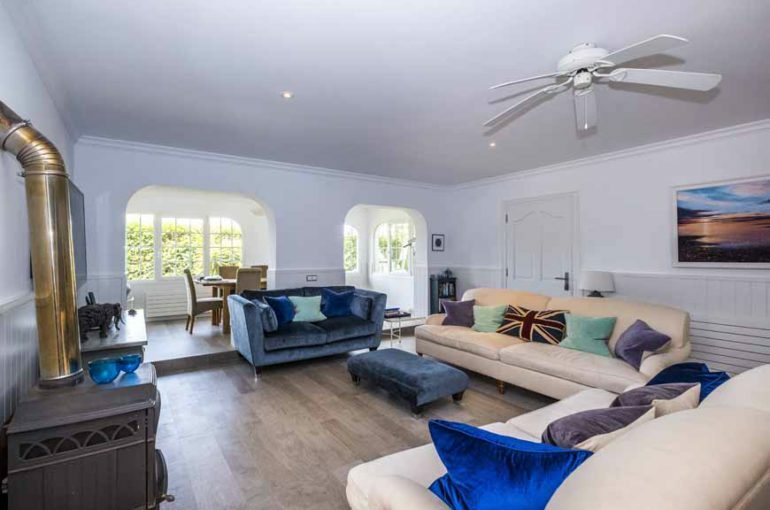 With a built area of 347m2 and standing on a fantastic large plot of 1583m2, this beautiful country house offers a covered porch way that leads into a spacious reception hall, large enough to be used as an extra ‘bedroom’ if required and furnished with a comfortable bed-settee. 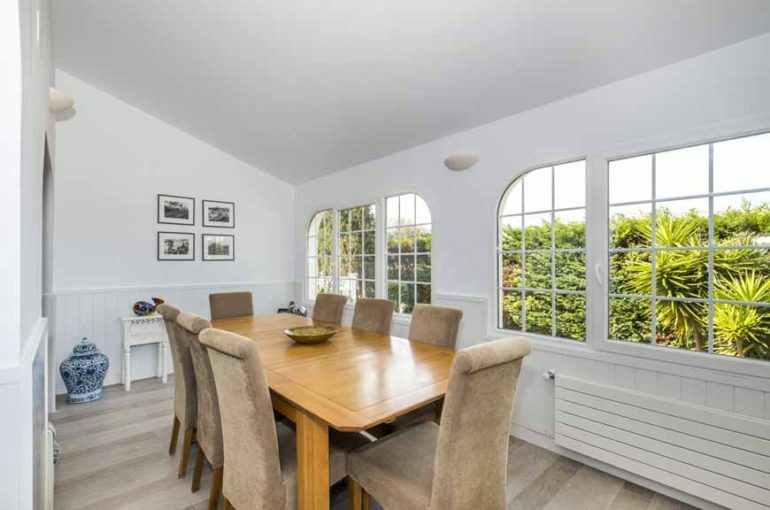 Doors lead through to a fantastic, independent and well equipped kitchen and a spacious lounge and adjoining dining room as can be seen from the photos. 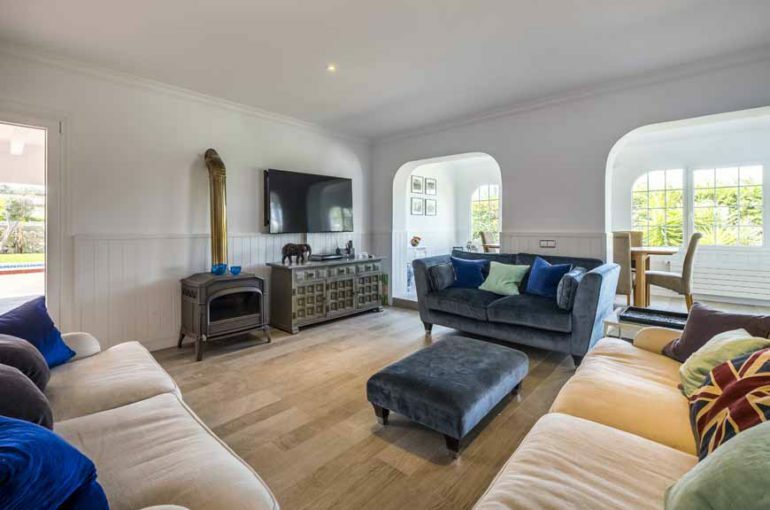 The lounge has a log burning stove and has doors leading out to a superb, covered terrace overlooking the pool and garden that provides a fantastic summer living and dining area, a very important feature for the warmer Spring and Summer months. 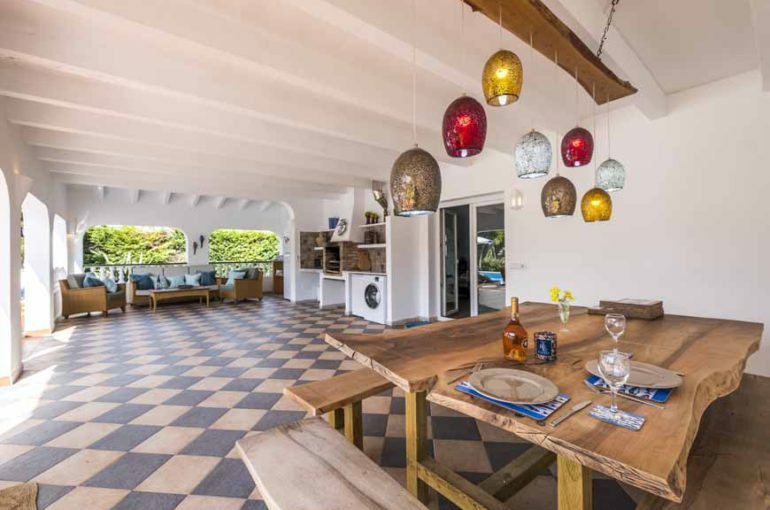 This area does have a brick built BBQ and shelves to create an outdoor kitchen area. 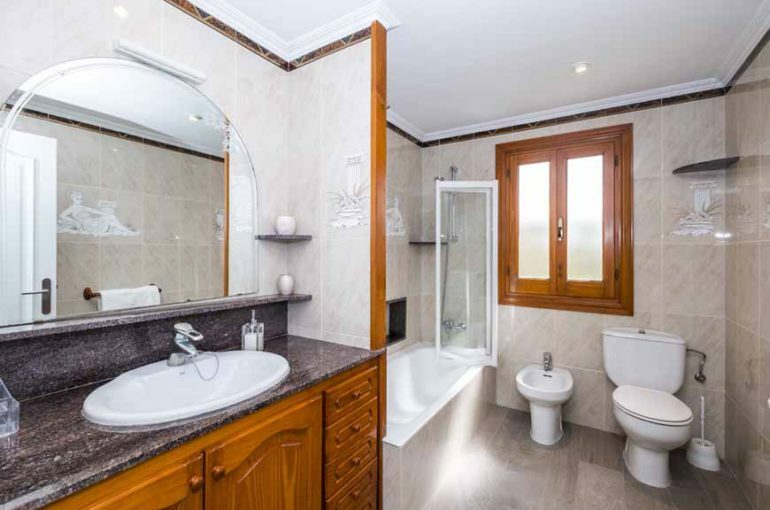 On the ground floor level there are also 2 bedrooms. 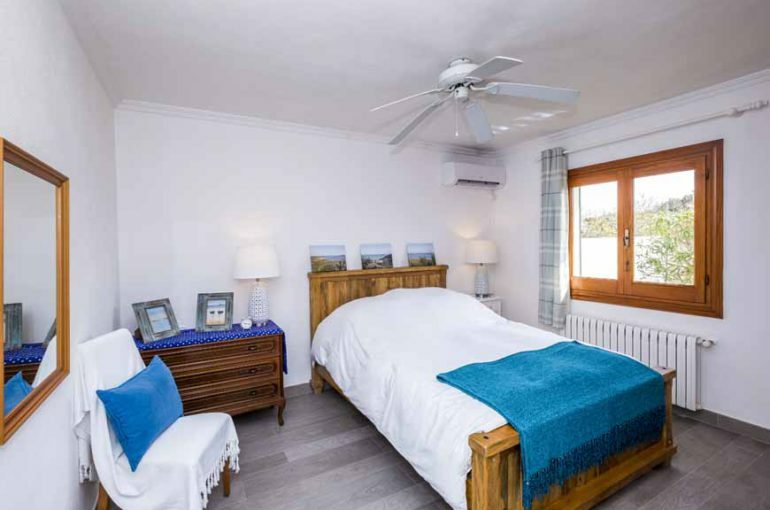 One of these would be considered the Master Suite and offers a large en suite bathroom, a dressing area with fitted wardrobes and doors leading out to the garden and pool. 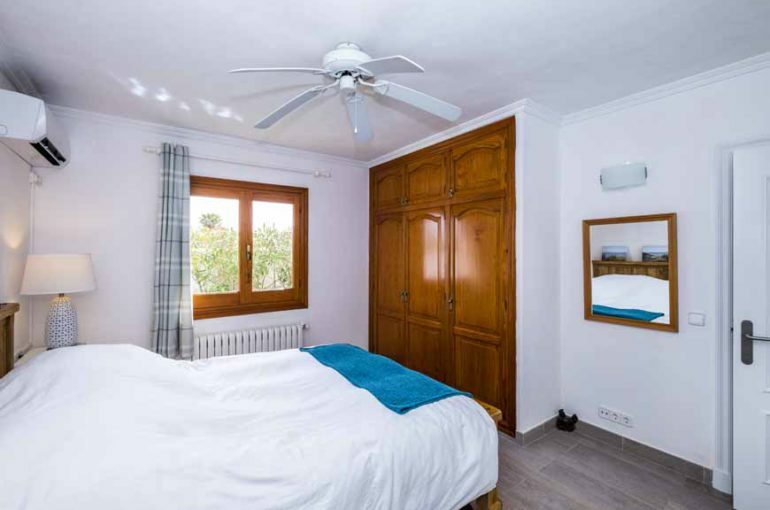 The second bedroom is a good sized double and has fitted wardrobes. 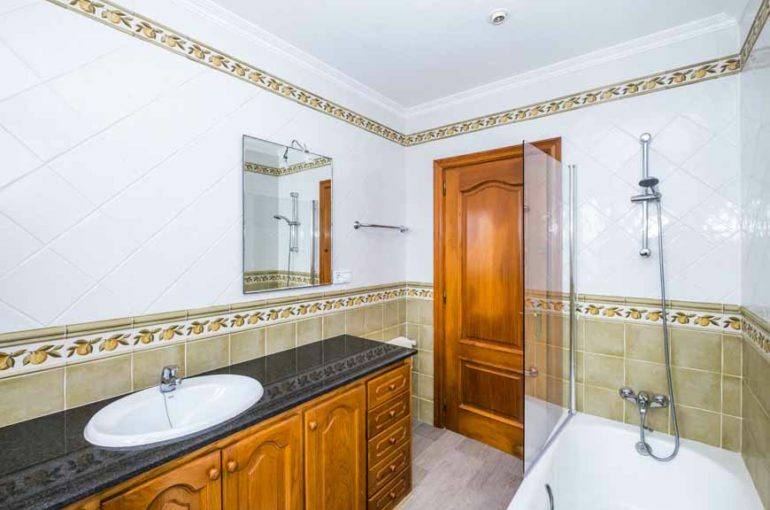 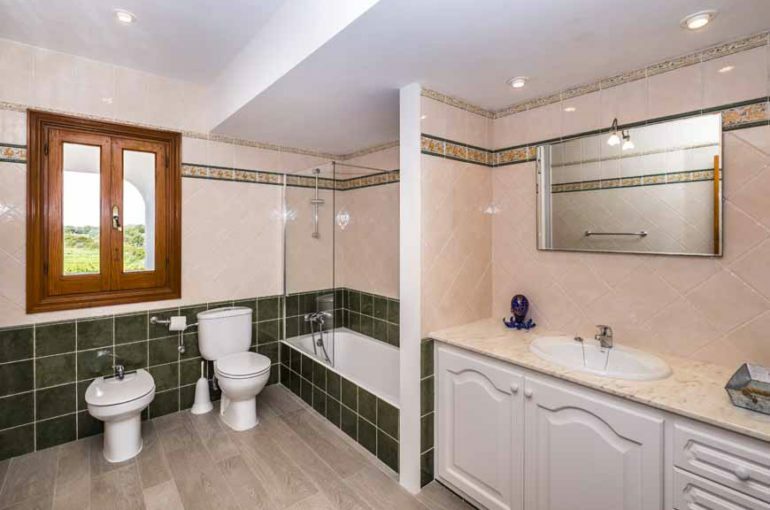 There is a family bathroom located between these bedrooms. 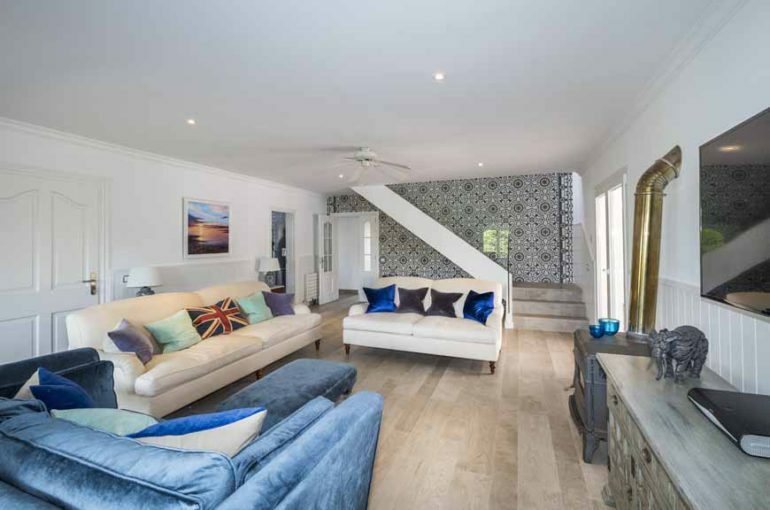 A modern design staircase leads up from the lounge to a further three bedrooms, all of which are large and have fitted wardrobes. 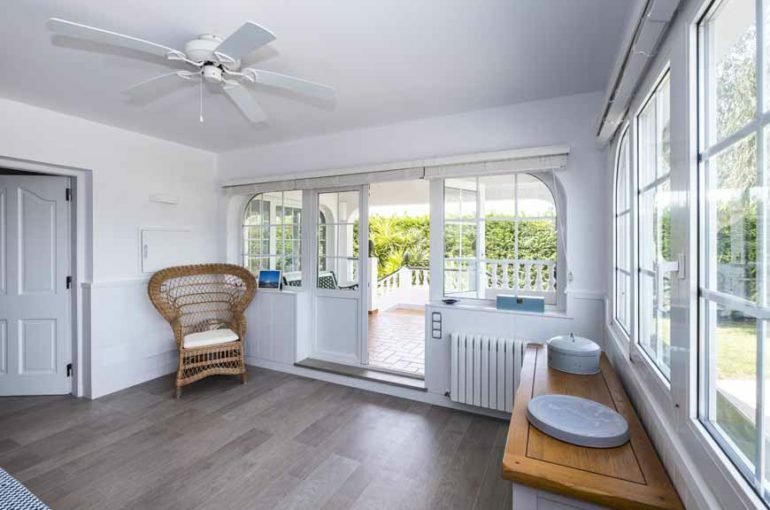 One of these rooms has doors leading out to a covered terrace that communicates with the larger front terrace, accessible by a second doorway on the upstairs landing. 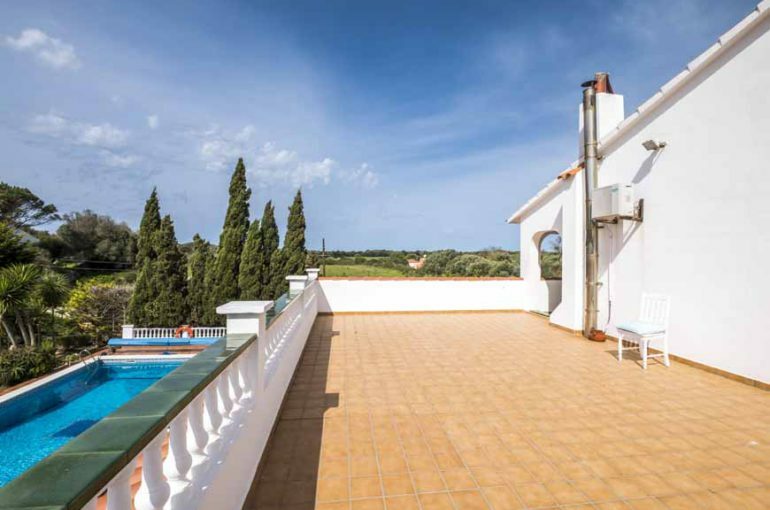 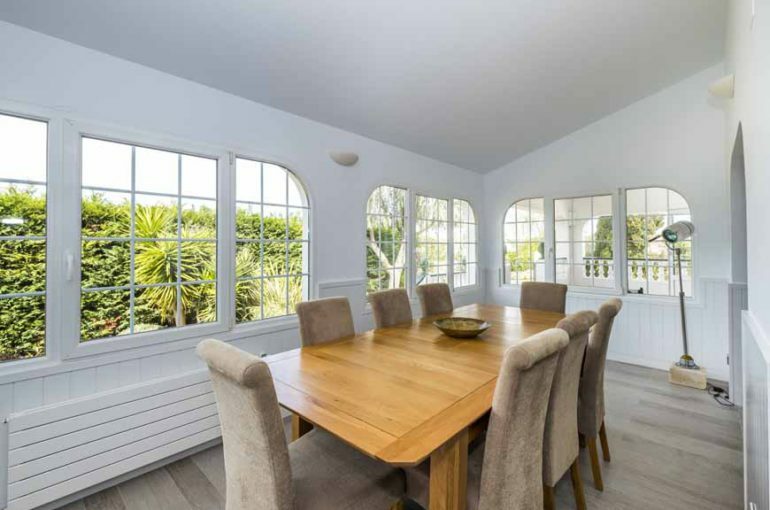 This terrace has beautiful views across the garden and the surrounding countryside. 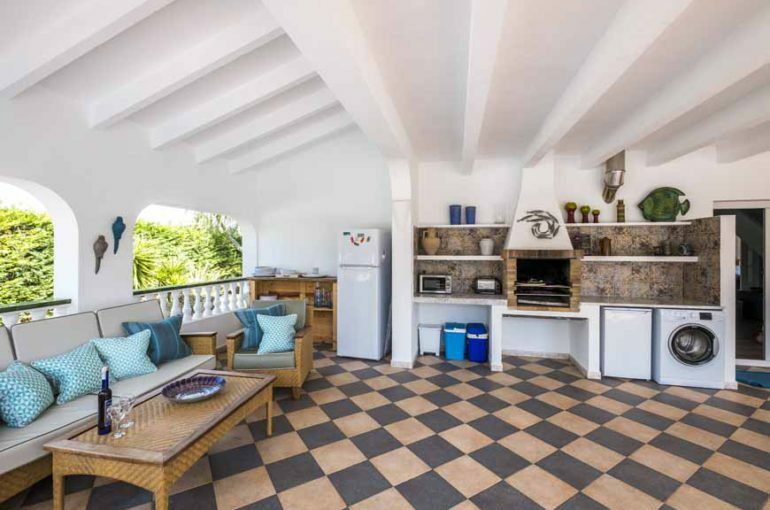 There are also 2 large bathrooms on this level as well as a second terrace that overlooks the entrance of the property. 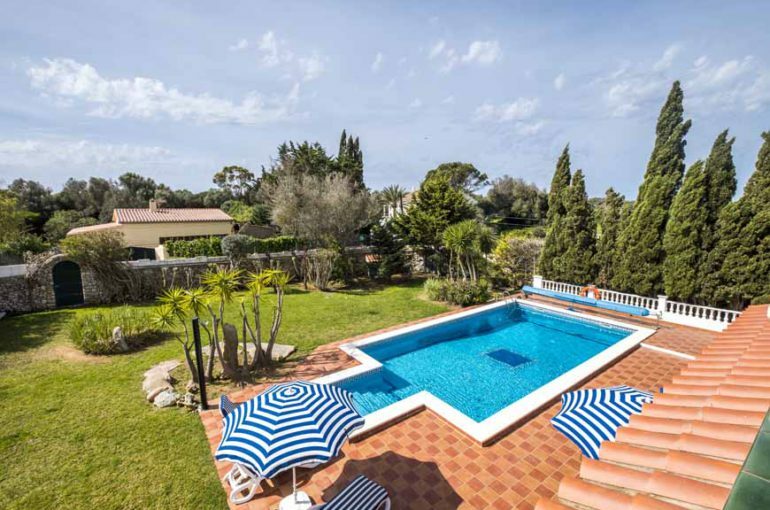 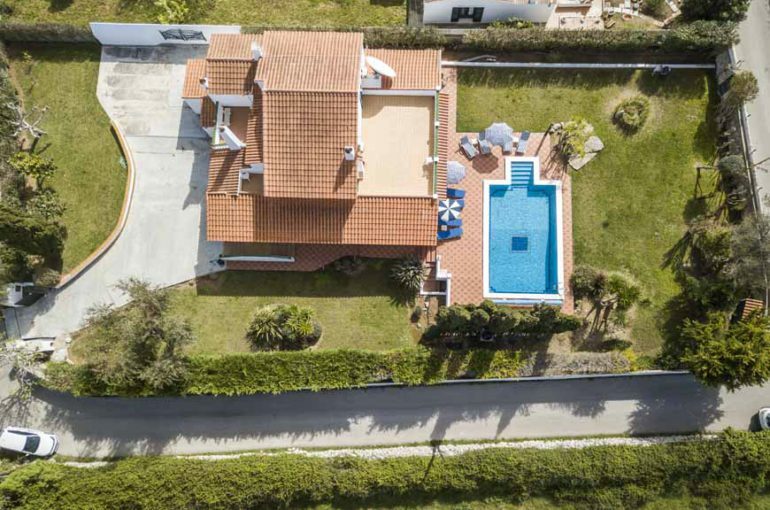 The exterior provides ample parking for at least three cars and a large swimming pool measuring 59m2 surrounded by lawned garden and sunbathing terraces. 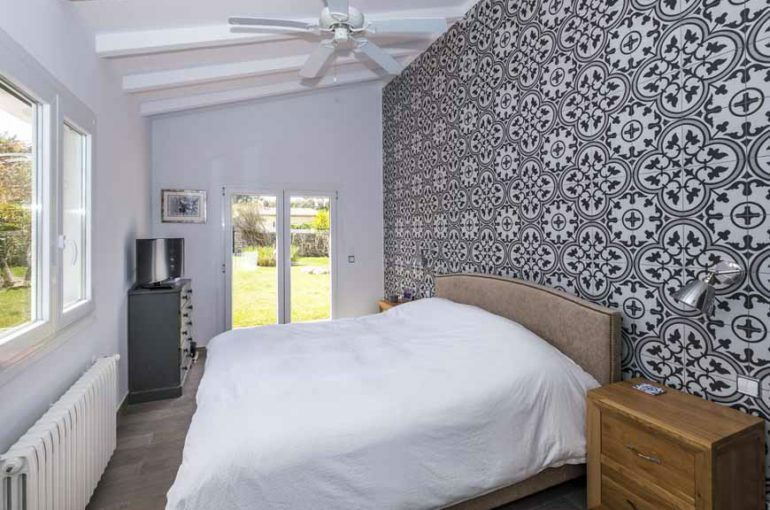 Other features of this beautiful home include oil fired central heating and air conditioning throughout and all bedrooms do also have ceiling fans. 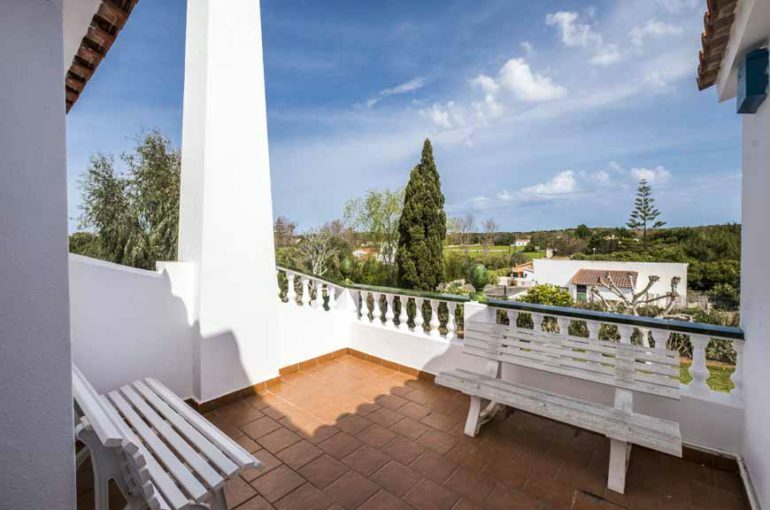 Sold semi furnished and equipped this is a fantastic home in a beautiful part of Menorca. 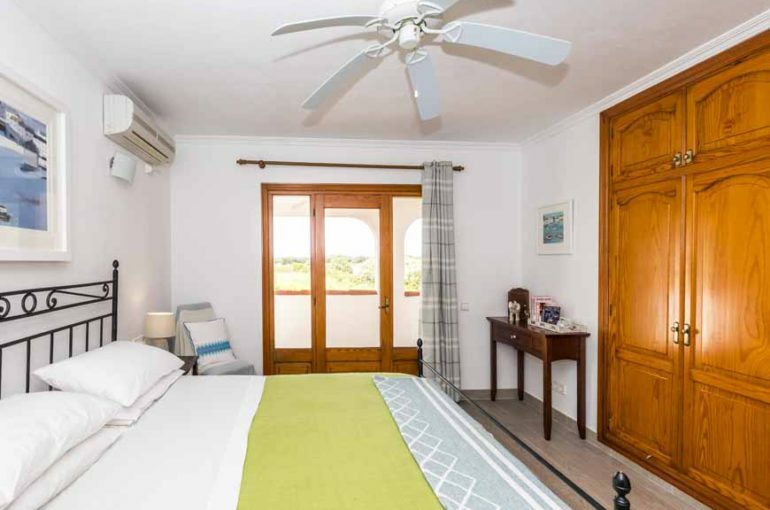 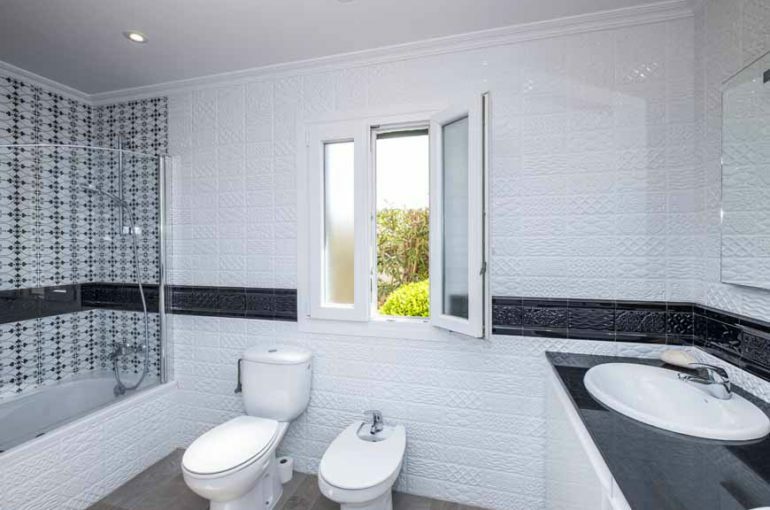 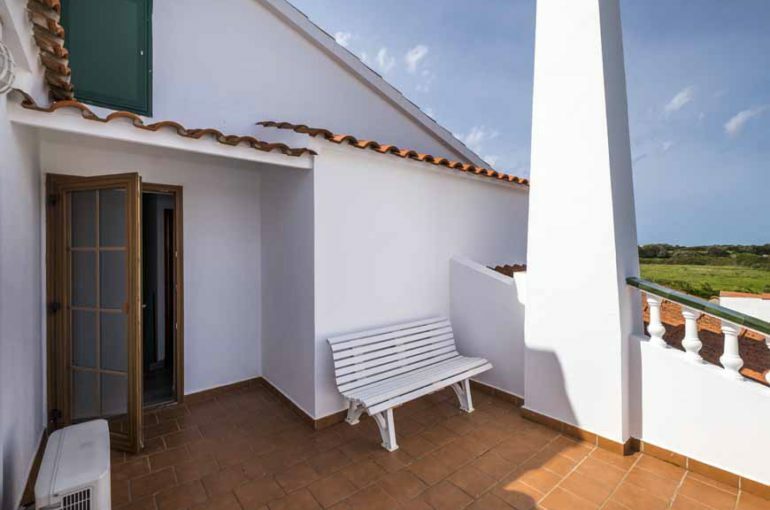 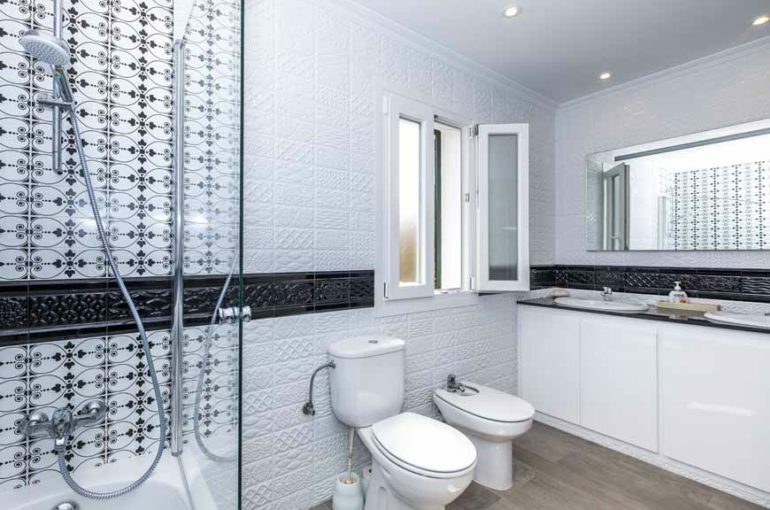 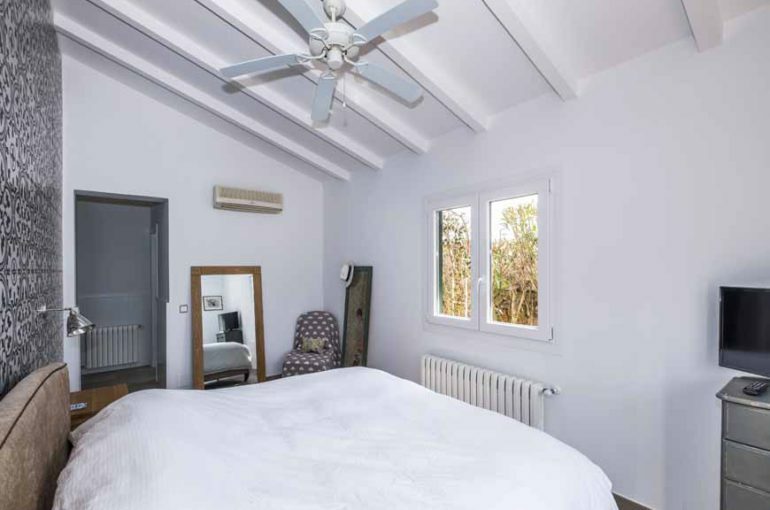 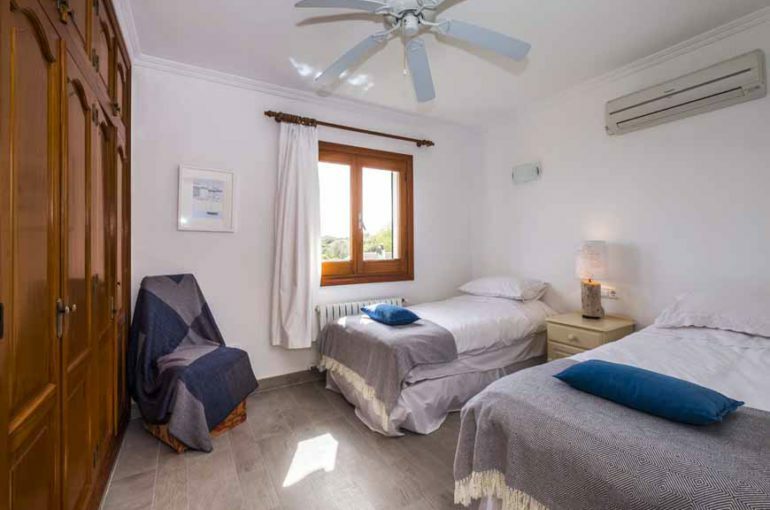 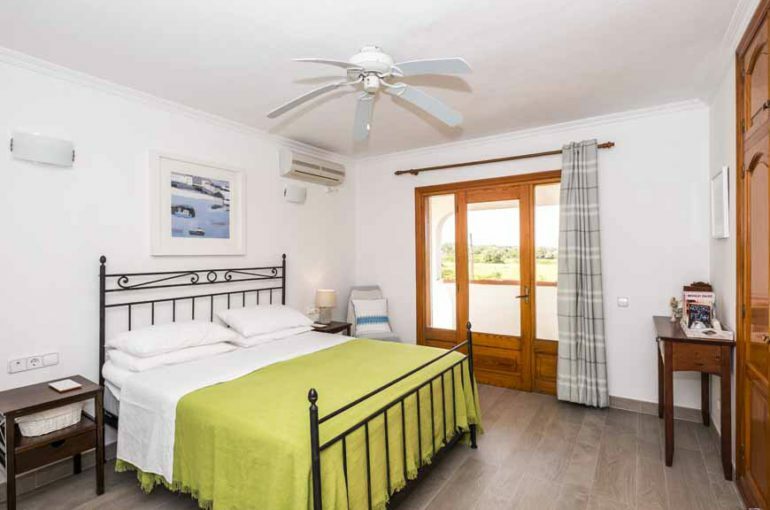 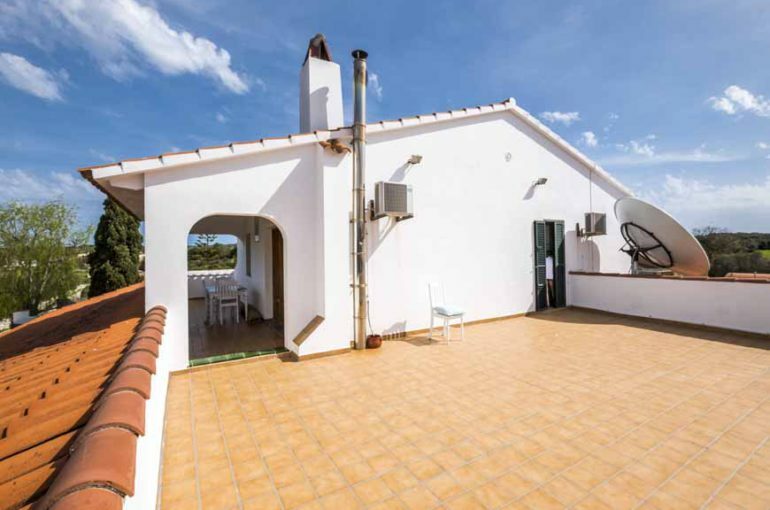 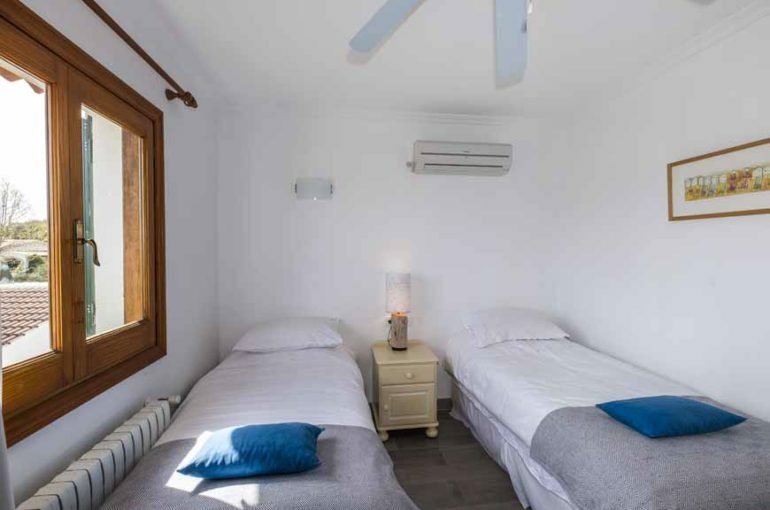 Its location means that it is just a few minutes drive from two main towns, Mahon being the capital of Menorca and also the popular coastal resort of Son Bou, boasting one of Menorca’s largest beaches.